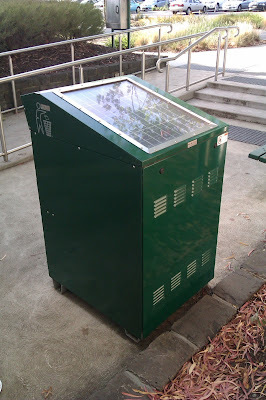 Urban Growth: I know it's just a bin, but it's a Special Solar Bin! I know it's just a bin, but it's a Special Solar Bin! Well this I hadn't heard of before! I stumbled upon this bin when in Camberwell, Melbourne. It is a solar power, self compacting bin and it is a new intelligent infrastructure that is reducing the collection frequency of rubbish bins in dense urban settings. I don't know about these ones specifically but they look to be very similar to BigBelly Bins from the UK. It definitely makes sense to try and reduce the frequency of collection, the effects of which can be realised not only in a reduction in carbon emissions (from rubbish trucks etc) but also in the ease of traffic congestion on rubbish days. Being 100% complete solar powered they are self-sufficient and the BigBelly Bins are even boasting Wi-Fi hot-spots and interactive data sharing so councils known exactly when the bin needs to be collected. 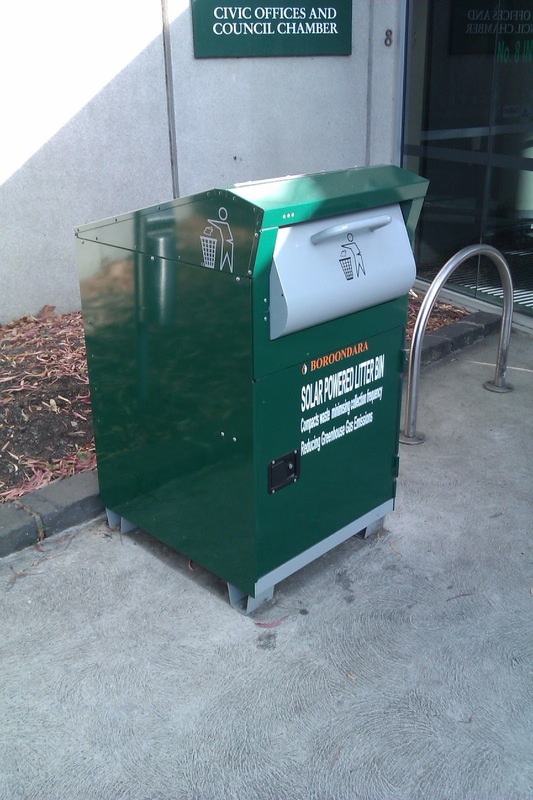 I think they should replace all bins in the CBD of Melbourne and be paired with 'recycled materials' model as well. 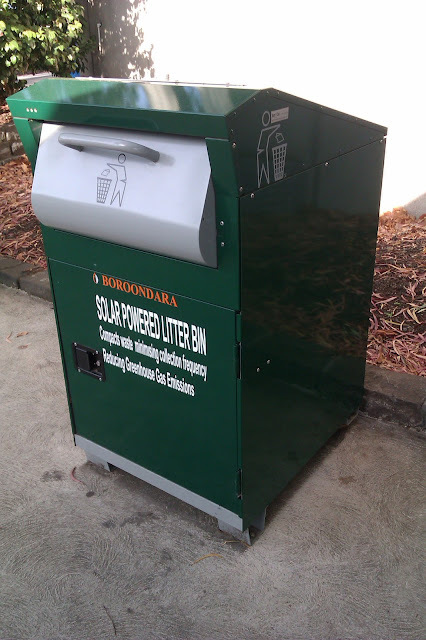 A case study conducted by the City of Philadelphia titled 'Cost Savings from Solar Powered Compactors for Trash and Recycling' [Link] can give you some more info.